Flatten the meat gently to ½ cm thickness and pat dry. Sprinkle evenly with salt and pepper. 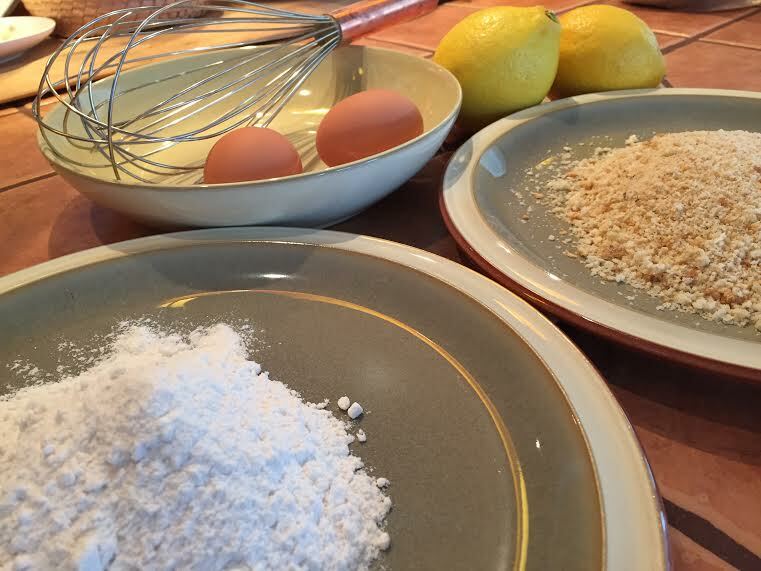 Prepare three plates with flour, whisked egg and breadcrumbs. Dip Schnitzel all around, one at a time in flour, shake off excess, dip in egg, then in breadcrumbs. Heat a large, non-stick heavy pan with 1cm vegetable oil to medium/high heat. The pan should be large enough to hold the meat without touching. Cook for 3-4 minutes until golden brown. Shake your pan a few times during cooking. Turn and add butter, shake pan frequently and cook for another 3-4 minutes. 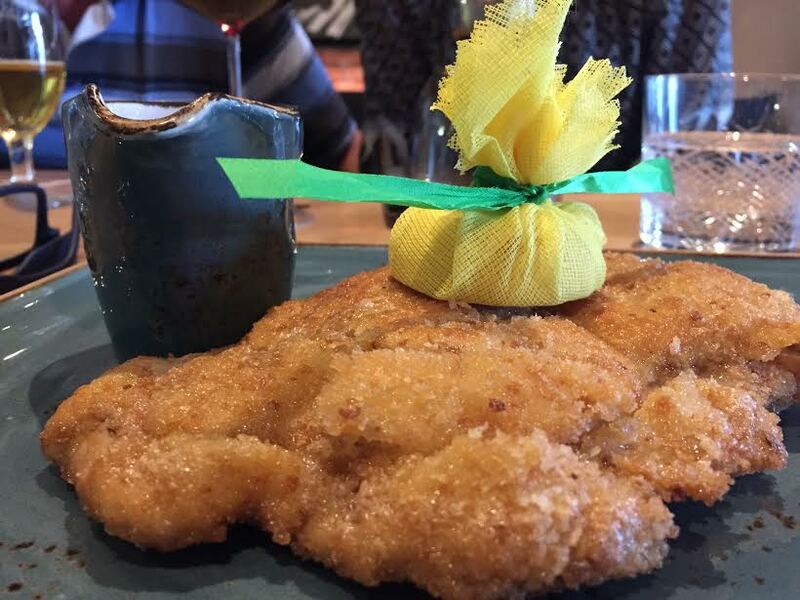 Place hot Schnitzel on a plate lined with paper towel to absorb oil, then place on serving platter or plate. Top with ½ lemon each. 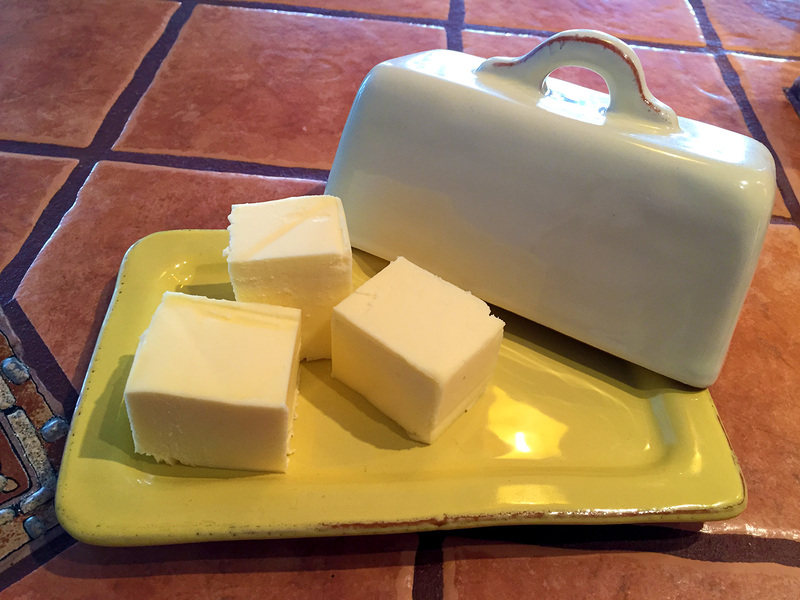 For a pretty presentation, wrap your lemon halves in a square of cheesecloth and tie with a ribbon. The cloth will keep the lemon seeds in when squeezing the juice on your Schnitzel. My favourite sides: Potato Salad or French Fries with a little green salad.